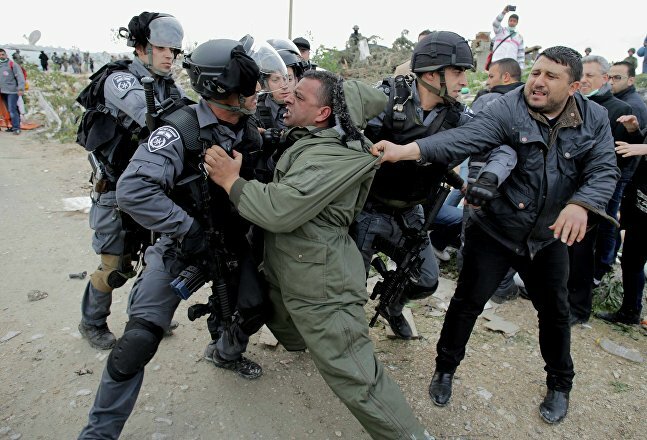 On July 4, Israeli forces conducted a wave of invasions and violent home searches across the West Bank, abducting 24 Palestinians, including women and children. Such operations are an almost weekly occurrence in the occupied territories – and Israel's history of kidnap stretches back to the state's 1948 creation. As dawn was breaking, dozens of soldiers surged into Suwwana, next to the Walls of the Old City, East Jerusalem, searching and ransacking homes and abducting eight Palestinians; in Hebron, the soldiers abducted seven, including a father and his four sons; in Beit Ummar, two; in Nablus, one; in Tulkarem five; in the al-Far'a refugee camp, two. Moreover, two young Palestinians were shot and injured with live ammunition, and in Sammoa, Surif and Tarqoumi, Israeli forces installed several roadblocks, stopping and searching dozens of cars, interrogating citizens. ​While the motive for the merciless incursion is unclear, it's doubtful West Bank residents will have been overly surprised by their rude awakening — Addameer, a Palestinian prisoner support and human rights association, estimates over 500 Palestinians were abducted by Israeli forces in January alone. Moreover, students of Israeli history will likely be unruffled by the development — for Israel has a long and dubious history of state sanctioned kidnap. In some cases, such abductions arguably achieved a greater good, despite breaching the national sovereignty of several countries. Tweet: "Adolf Eichmann on trial in Israel, after he was captured in Argentina." ​In 1960, Operation Garibaldi saw daring Mossad agents infiltrate Buenos Aires and locate and kidnap senior Nazi fugitive Adolf Eichmann, Obersturmbannfuhrer (Lieutenant Colonel) in the SS and one of the major organizers and facilitators of the Holocaust. After his capture, he was transferred to Israel, where he was found guilty of crimes against humanity, war crimes, and crimes against Poles, Slovenes and Gypsies, and sentenced to death via hanging. However, the ethicality of other such operations conducted by the Israeli state is highly questionable — for instance, the 1986 kidnap of Mordechai Vanunu, who revealed details of Israel's covert and illegal nuclear weapons program to the UK media. After selling his story to a mainstream publication, he was lured to Rome by Mossad agent Cheryl Bentov in a honey trap operation — after entering an apartment she had ostensibly rented, he was overpowered and drugged by three waiting Mossad agent, before being dispatched to Israel. There, he was convicted in a secret trial of treason and espionage, and sentenced to eighteen years of imprisonment. How about #IAEA make #Israel honorable by mentioning #Dimona #NuclearReactor? ​Vanunu served most of his sentence in solitary confinement, and was released April 2004. He remains subject to a number of prohibitions, including not contacting foreigners, owning a mobile phone or ever leaving Israel. He has been imprisoned on several occasions subsequent for breaching these conditions. 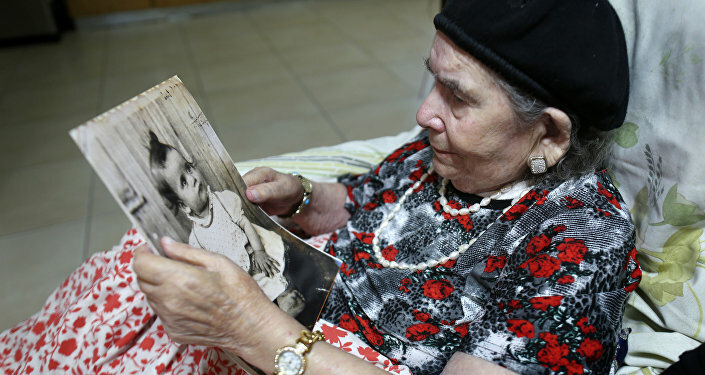 Moreover, questions still hang over the Yemenite Children Affair, an as yet unproven scandal involving the disappearance of hundreds of babies and toddlers born to Yemenite immigrants to Israel, between 1948 and 1954. ​It is alleged Yemenite parents, who had migrated to Israel after the state's creation, were told by doctors their children had died, while in reality the children were kidnapped and given or sold to Ashkenazi families. In all, over 1,000 families have expressed suspicions their children were taken from them in this manner. Three government probes were conducted into the affair, each one concluding the children had all in fact died. Despite this, rumors and questions continued to circle the case, as affected families were not given their children's bodies or informed of their burial places, provided with death certificates riddled with errors, among other suspicious anomalies. There were also instances of adopted Yemenite children tracking down their true parents, their relationship conclusively confirmed via DNA tests. In December 2016, Prime Minister Benjamin Netanyahu launched an online database, offering supposed full access to 200,000 pages of declassified documents on the scandal — although the release has done little to quell speculation and misgiving. A key concern related to the timeline of the documents — while the trail released for public consumption ended in 1954, reports of suspicious disappearances continued into the 1960s.